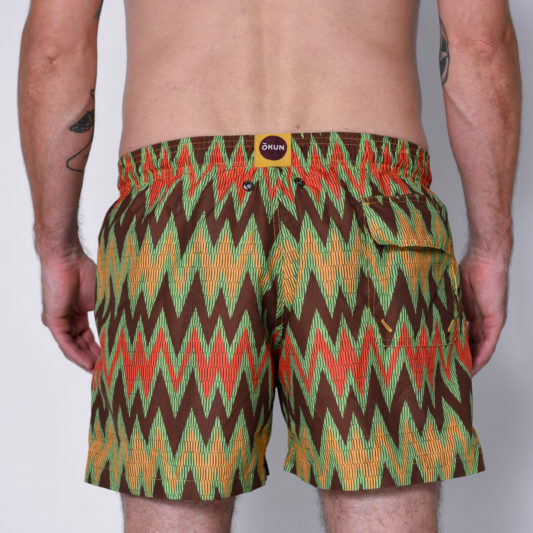 Creative director Bola Marquis looks to the energy of pan-African patterns when designing for Okun, including these brown, orange and yellow Bolga Zigzag-print swim shorts. They’re crafted from a lightweight, quick-drying fabric and are cut to a mid rise with straight legs, and are finished with a Velcro-fastening back pocket and internal white mesh briefs. 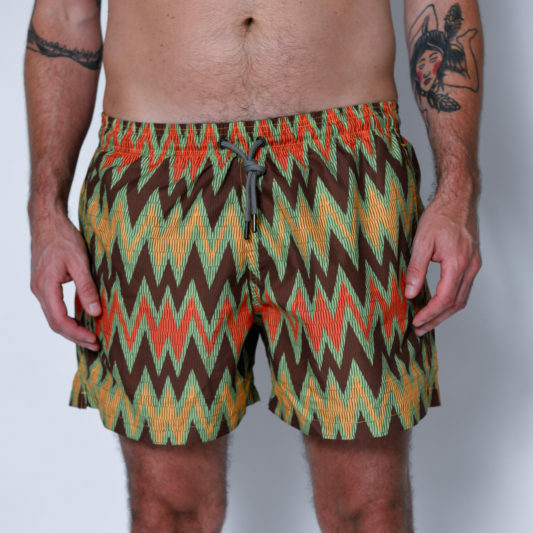 with an elasticated drawstring waistband for flexible comfort. 100% Polyester. Fits true to size. Model is wearing size M and is 5’9, 160lbs, 32 waist, 42 chest.